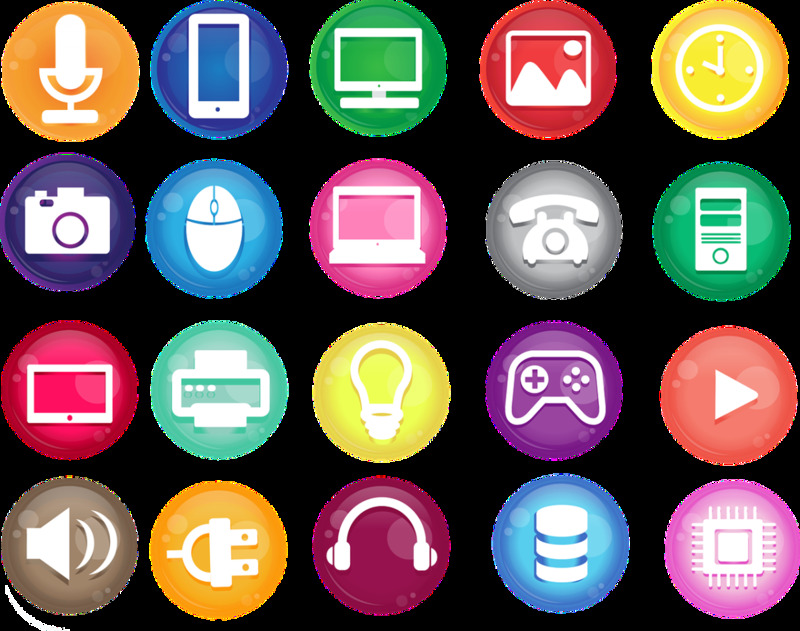 Kent is a blogger and freelance writer who enjoys sharing her knowledge about consumer tech. She plays mobile games on her free time. So what exactly is this “Dark Mode” in Messenger? 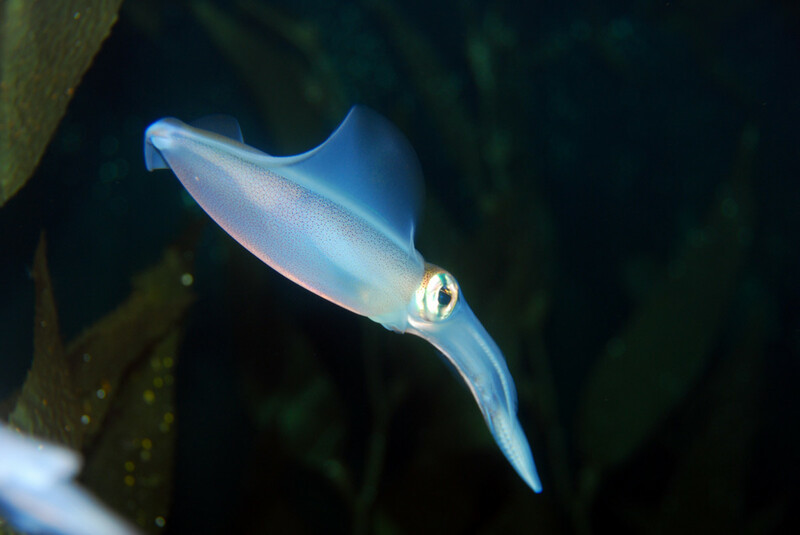 Yes, you might have heard about it but chances are, you still don’t know what it really is. Well, it is basically a hidden feature in Facebook Messenger. What it does is that it lets you change the app’s appearance from light to dark. When in dark mode, the main background of the Messenger app switches to black instead of its default white color. What’s great about dark mode is it helps reduce eye fatigue. It reduces glare thereby making your eyes feel less tired. This is very helpful for users who stare at their smartphone screens for a long period of time. 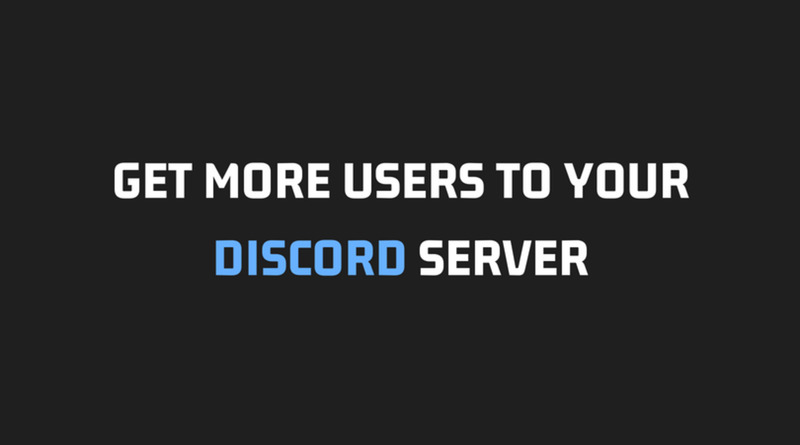 How to Enable “Dark Mode”? 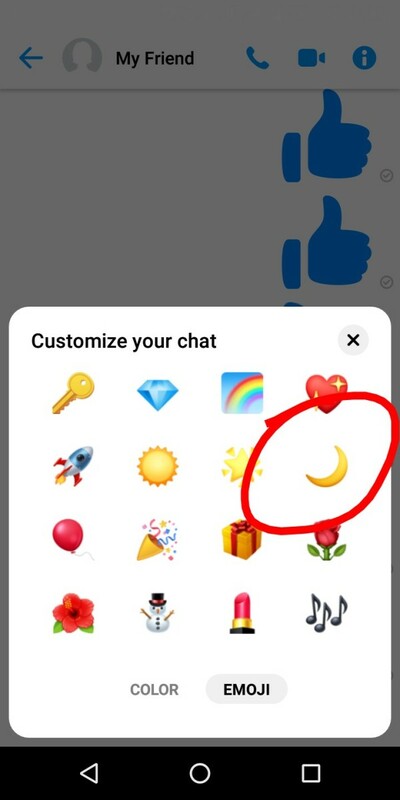 Change your default Messenger emoji to moon emoji. 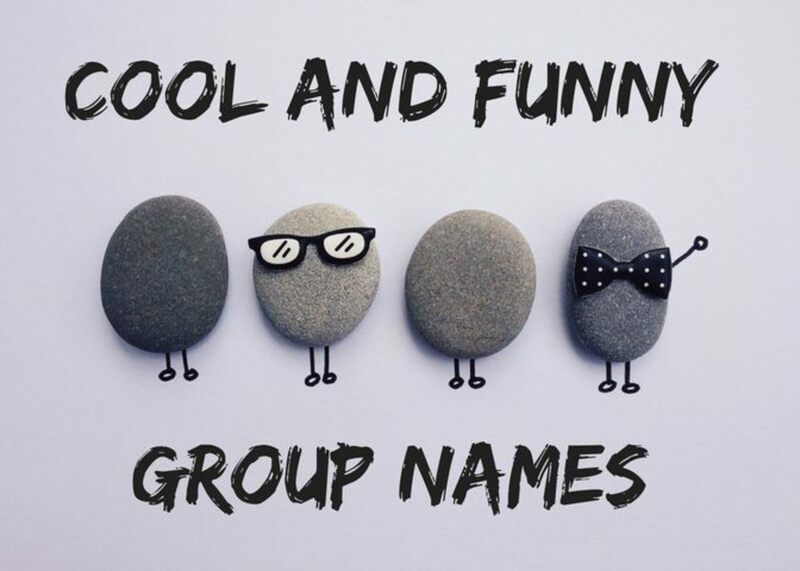 Select one of your active chats then click the “i” icon at the top-right. Go to “Emoji” then scroll down through the available emojis until you find the moon emoji. 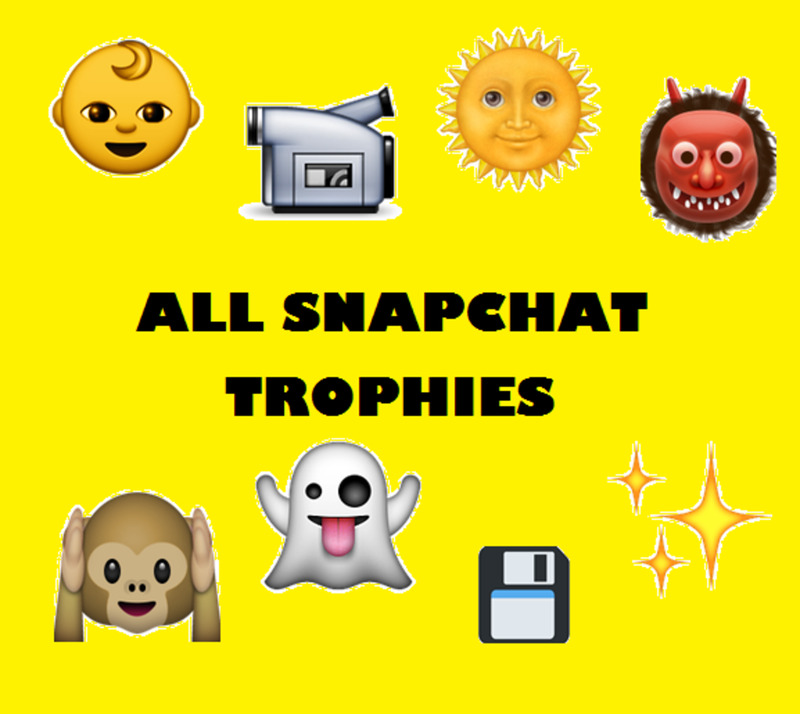 Send the moon emoji to your friend via chat. 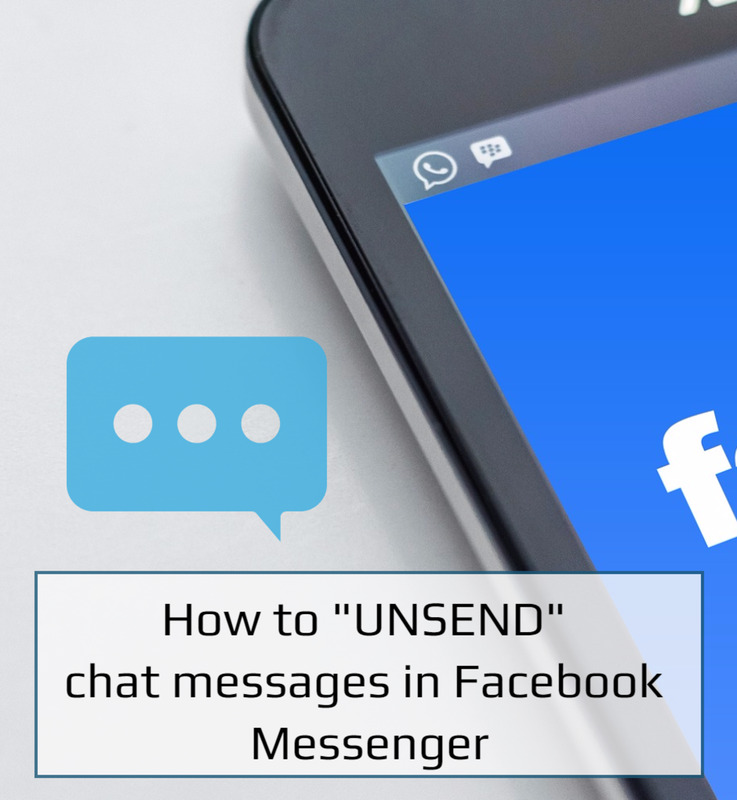 Go to your Messenger settings. By then, you should be able to see a new option for “Dark Mode”. Just tap the toggle button to switch it on. Select “OK” when prompted. That’s it! You’ve now successfully switched to Messenger Dark Mode. You can just tap the toggle button again to switch back to the default mode. 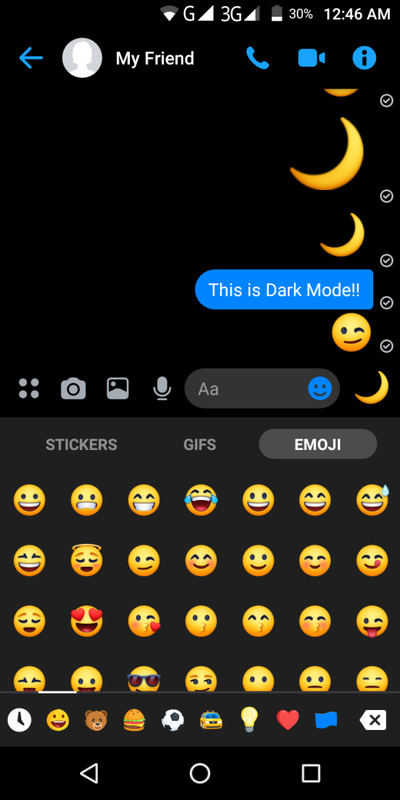 Make sure to select the moon emoji to activate dark mode in Messenger. Tap the toggle button to switch it on. 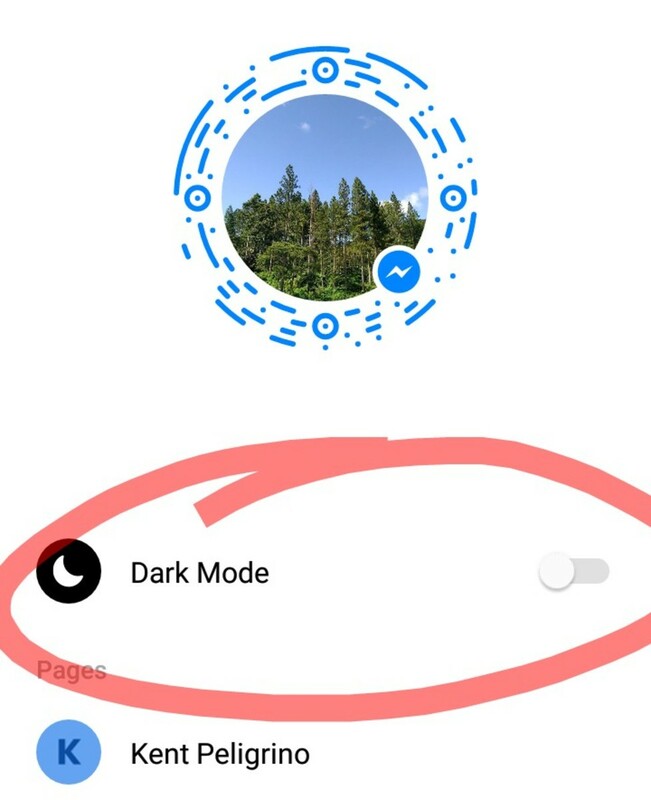 Do note that “Dark Mode” may not be visible to everyone and as Facebook specifically mentioned, it won’t appear everywhere in Messenger. Even so, it still looks pretty cool and definitely pleasing to the eyes! 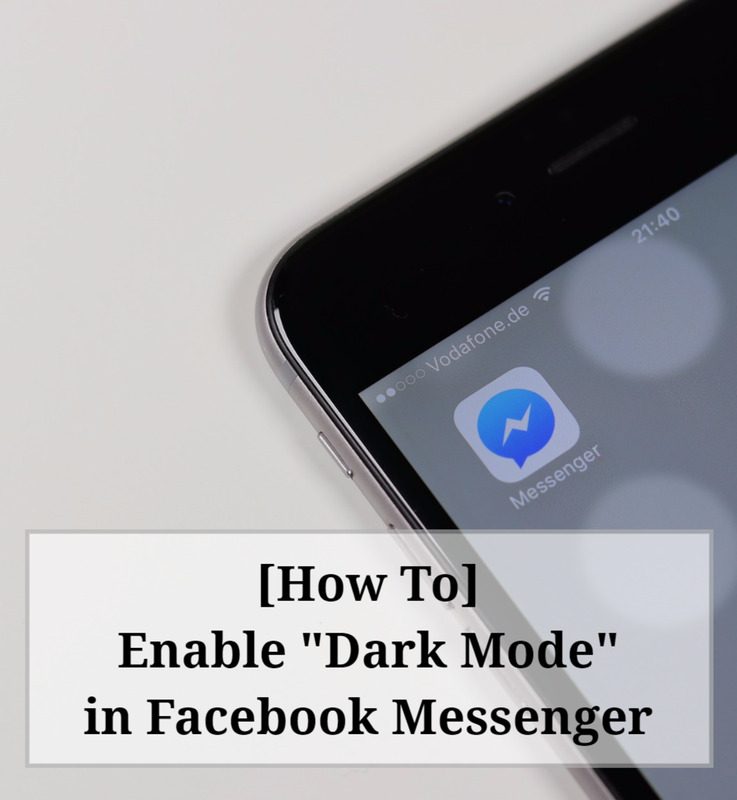 You don’t really need to install any separate application or APK just to enable or activate “Dark Mode” in Messenger. Just follow the steps listed above and it will work. Have you tried "Dark Mode" in Messenger? Yes and I'm loving it! Yes but I don't like it.